Legendary athlete Milkha Singh said hockey wizard Dhyan Chand should have been the first sportspersons to be conferred with the country's highest civilian award, Bharat Ratna. "Dhyan Chand should have got Bharat Ratna first. 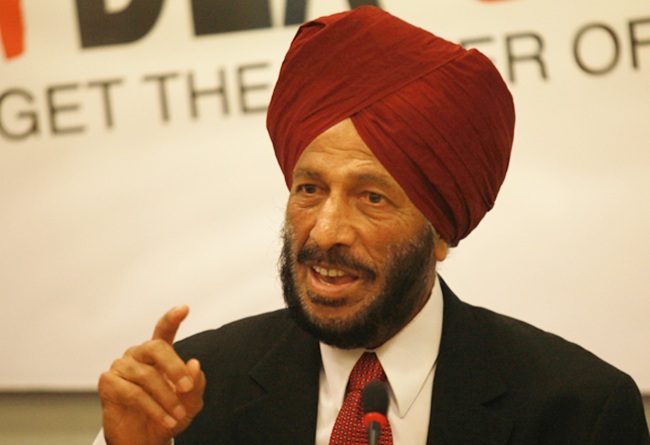 Dhyan Chand was the most deserving candidate," Milkha said. The 'Flying Sikh' though felt that bestowing the honour on cricket icon Sachin Tendulkar has opened the door for the other Indian sportspersons. "It was good that it was given to Sachin. It has opened the door for sportspersons. But the first to get it should have been Dhyan Chand," he added. The 80-year-old Milkha, best remembered for his fourth-place finish in the 400 metres final at the 1960 Olympic Games, also spoke about the controversy surrounding shuttler Saina Nehwal's reported demand for the Padma Bhushan award. "Her association should have said that she deserves and that she should get the award. But if you ask for awards yourself, it is wrong," Milkha said.